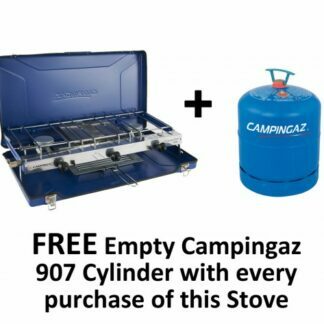 The Campingaz Camping Chef Folding Stove is the ideal stove for campers who need a stove that can do everything they need. 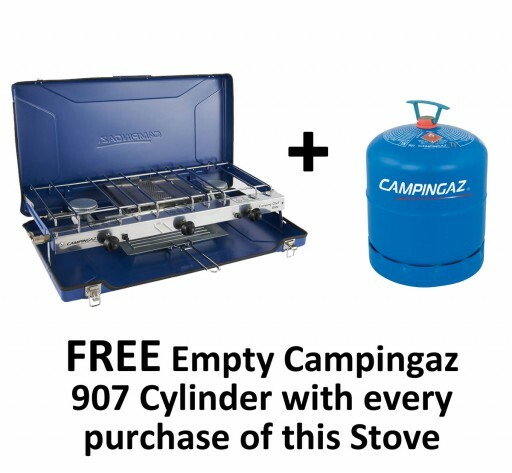 The Campingaz Camping Chef Folding Stove is the ideal stove for campers who need a stove that can do everything they need. 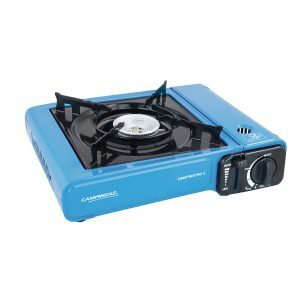 Whether you are boiling, frying or toasting you will be able to do it. 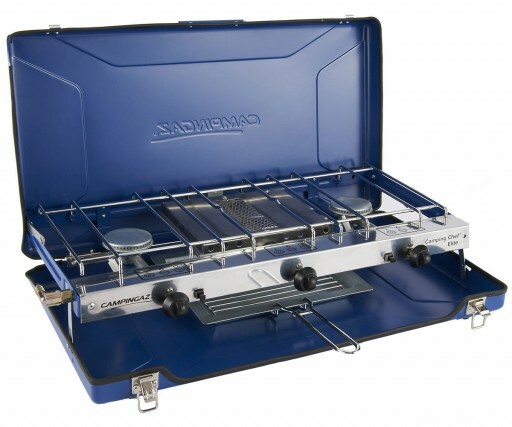 The multi-functional stove is ideal for whipping up breakfast for the family on camping trips. 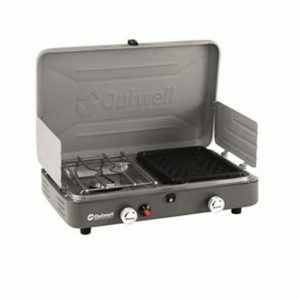 Ideal for camping holidays – this lightweight, compact and durable stove has plenty of power for frying and grilling. 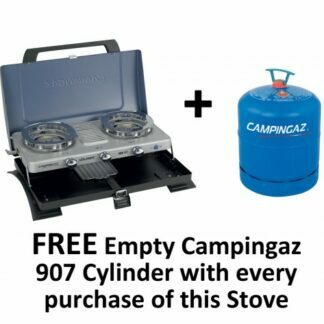 The Free Empty Campingaz 907 Cylinder (worth £53.00 RRP) is only available while stocks last.